Two of the Royal Navy’s largest warships have left port and are sailing to the starting point of the biggest NATO exercise in 20 years. HMS Ocean sailed from Livorno while HMS Bulwark sailed from Toulon straight into the warm up phase of Exercise Trident Juncture. Both vessels have spent months preparing for the exercise taking part in locations around Italy, Spain and Portugal. Ocean visited Livorno to stock up on supplies and embark US Marines in preparation for their role in the “live” phase of NATO’s biggest exercise for 20 years – which will take place in Spain and Portugal at the start on November. Since leaving the UK last month, Ocean has hosted the UK Maritime Battle Staff as it conducted a major ‘table top’ wargame and tested the communications that will enable it to command NATO’s warships in the forthcoming training scenarios. 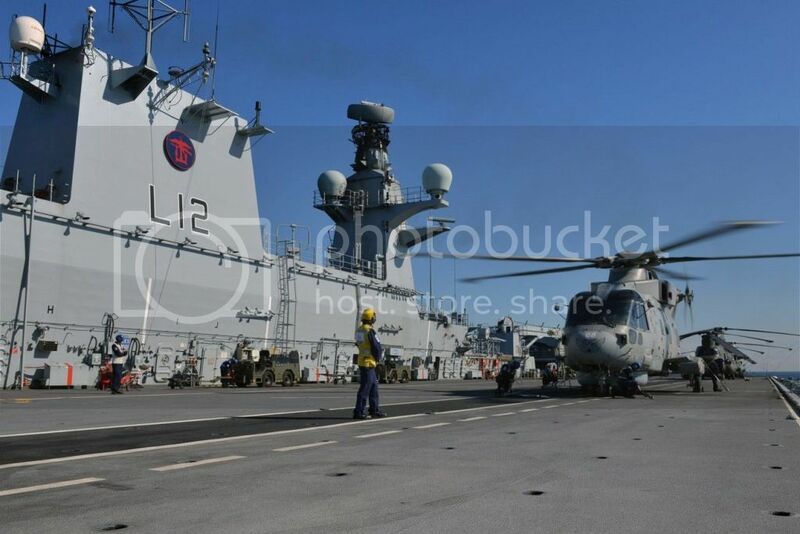 For the ship, the tempo of operation has increased with the flight deck team and air traffic controllers working with the ship’s full complement of helicopters from the Fleet Air Arm and RAF. Trident Juncture is also the final ‘tick’ that clears the Royal Navy’s Maritime Battle Staff to command the Naval element on the NATO Response Force in 2016. Ponte sobre o tejo e movimentações de blindados - trident juncture. Artigo sobre a montagem de pontes militares mo rio Tejo.